After I made the heart I was very inspired to make more complex pieces of art, much like the flowers. When I got home I moved on from making cranes, stars, and hearts and decided that the time had come for me to make origami flowers. All that you have to do is take the time to make a lot of unique and different flowers, now this is easier said than done and it is going to take you a lot of practice in order to meet the skill that is needed to make a large amount of origami flowers. When it comes to learning about origami and how to make different t works of art with paper, the origami flowers will always be a popular hit among your friends and family. There was a section that was made to look like a garden, complete with flying birds and origami flowers. It was so impressive that I really wanted to learn how to make a garden like that, if not a garden, at least some flowers. 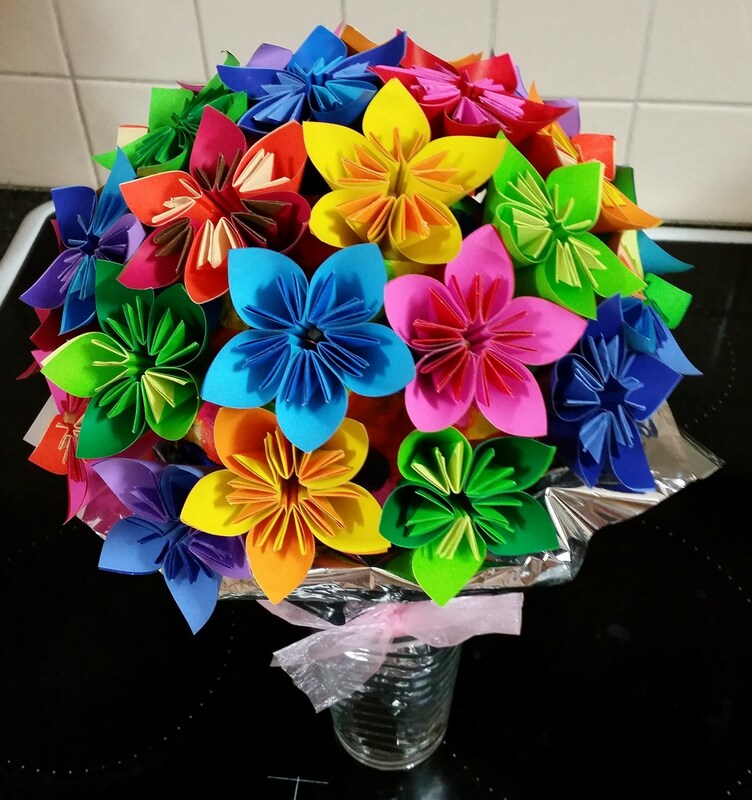 When it comes to origami it seems that origami flowers are one of the most popular pieces to create. There are a variety of different reasons as to why and for many people who are just starting out in the making of different pieces of paper art the flowers are a great place to start. These flowers are not only beautiful, they are also fairly simple and so this makes them great for people who are just getting started in this field of art.